Discussion in 'More News from Your Google TV News Team' started by Rickaren, Apr 8, 2011. 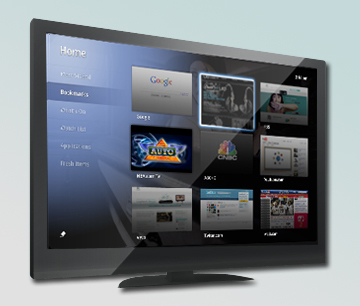 AUTO CENTRAL - April 8, 2011: Several months ago Google made the leap into delivering the long anticipated convergence of television and the Internet with its introduction of Google TV. Google's initiative was assisted by Sony and Logitech - both of whom built set-top box devices that makes the cross-media platform possible. While Google's announcement was heralded as big news, they weren't the first to offer a real workable solution (primitive attempts date back to at least 1997 when Loral tried to make it happen), Yahoo! had already introduced Yahoo Connect TV and Apple had Apple TV on the market. But Google's entry with its gigantic YouTube gorilla really signalled convergence's arrival. It's true that sales of the various set-top boxes haven't reached the numbers hoped for by the diverse manufacturers, but for those consumers who have jumped in they have found a whole new world of programming. And chief among the producers/distributors of content for Internet TVis The Auto Channel, who not only was the very first website on the public Internet to stream video, but who understood the coming age of computer-assisted television since the mid-1980's when TACH was first developed. Now TheAutoChannel.com offers 2,000 different automotive videos that can all be watched on Internet TV - many of the programs are in HD. Individual videos range from concept cars to motor sports to life style to historical and classics. Some are just a couple minutes in length, some are an hour or more. There's something for every auto-related interest. The best part is what has always been one of the best parts of TheAutoChannel.com: access to the videos is completely FREE. To start watching just use your set-top box to visit YouTube and then enter The Auto Channel in the search box.